It is made of a composite plastic body and is pretty light weight. It is best used for all kinds of metal products, polishing processing of residual after welding slag, weld and rust. Make sure you use the lubricating oil that comes with this for best performance. 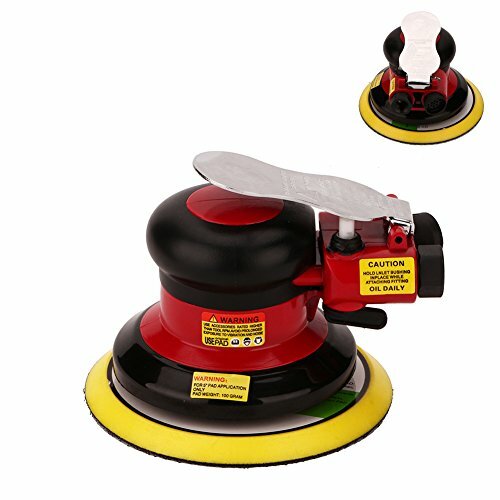 hook and loop sanding pad:5"
Comfort Platform provides additional hand and wrist support. View More In Industrial Power & Hand Tools. If you have any questions about this product by Gedu, contact us by completing and submitting the form below. If you are looking for a specif part number, please include it with your message.